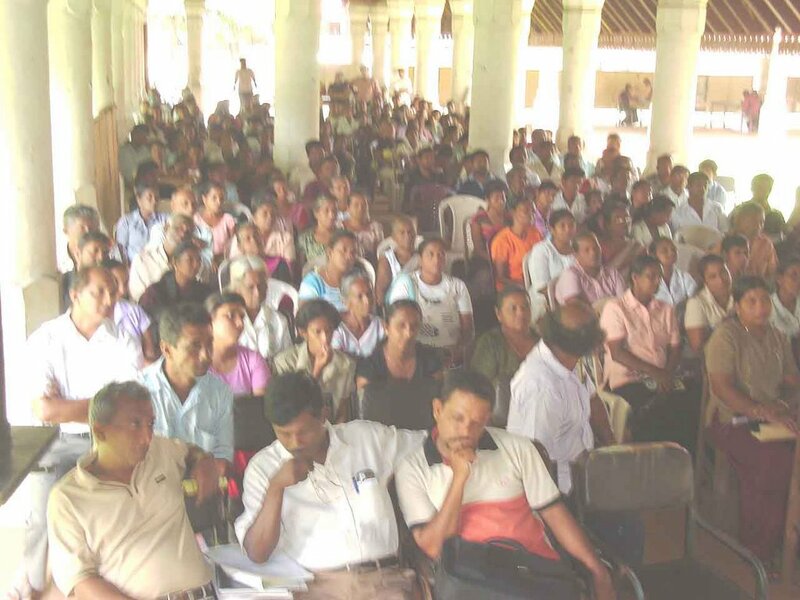 The second step was finished of the PPC that is implementing all over the country; it was traveling from 15th October to 27 from Kaluthara to Jaffna. 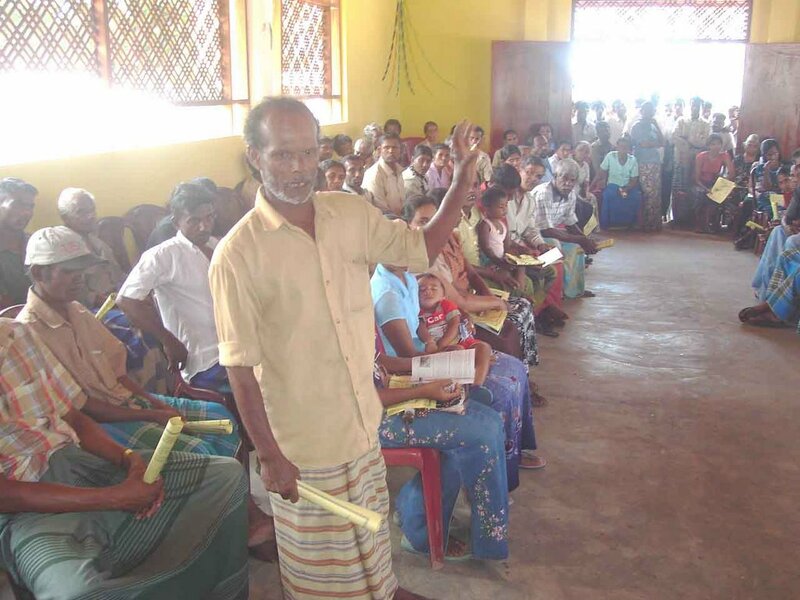 We had been inquiring suggestions and ideas of the tsunami affected people in the country. Especially on behalf of the people who are suffering from many difficulties in the camps and temporary shelters yet. We had 14th days journey. All the districts coordinators and Animators of the National Fisheries Solidarity gave their effective cooperation to success this program on behalf of the victims. We have plan to hand over a people’s planed plan to relevant authorities as well as to the International communities all over the world in front of these unsuccessful rebuilding process of the government and to teach them how to rebuild the nation. 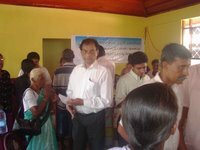 Most of affected people are suffering from many defects and difficulties without even their food and basic needs. Although this is the reality TAFREN, Government and the opposition party in Srilanka are sleeping yet. Other special thing is more than 90000 people are surviving with many defects but the two main political parties are diluting Millions of money for the poll. 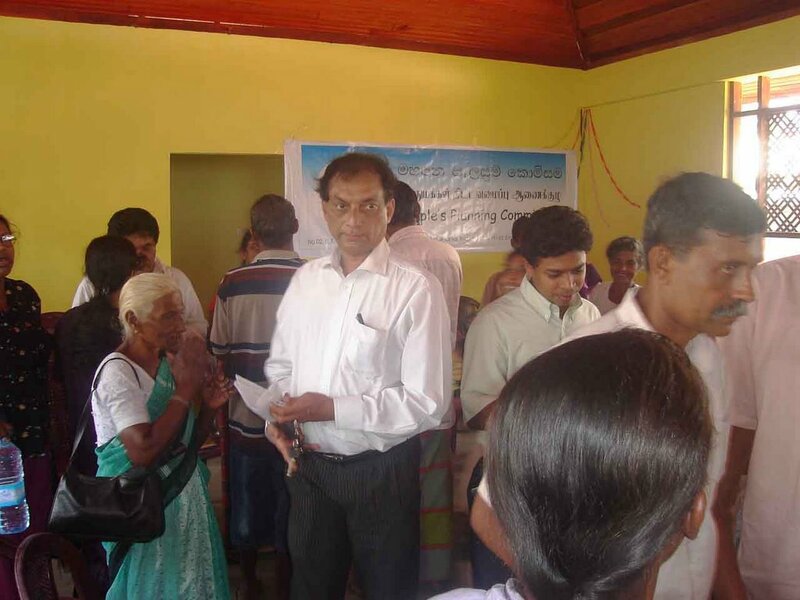 As Commissioners Doctor Layanal Weerakoon [Ruhuna campus], Prof. Nwarathna Raja [Jaffna Campus], Doctor Gamini kulathunga, Presidential lowyer Nishali Pinto gave us their effective service to success this program on behalf of the victims during the time we traveled from Kaluthara, to Jaffna. Especially Far. Thomas Kocherry Represented the commission as a National Commissioner and the National observer representing the World Forum of Fisher People [WFFP].Additionally National and International reporters joined with us until the final day of the journey to educate the world wide people. In addition to that 5 members participated with us representing other organizations Including MONLAR, SAVISTHRI, and JANA AWABODA KENDRAYA. 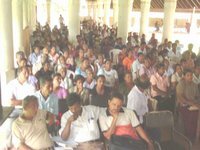 Most of affected people were presenting suggestions regarding these main sections. « Jobs and other basic needs. The Government and the TAFREN were accused by the most of victims all over the affected areas in the country. According to the People’s planning we would like to emphasize to the universal after the 300 days for tsunami, The Sri Lankan Government has failed to fulfill even basic needs of the victims of TSUNAMI yet.